At long last, the update that brings DLC functionality to both Azure Striker Gunvolt 2 (and Azure Striker Gunvolt Striker Pack version of GV2 as well) goes live on March 9th in both North America and Europe! There’s loads of new goodies available like a new song, new game mode, extra missions, and more! Seasons greetings once again, Strikers! 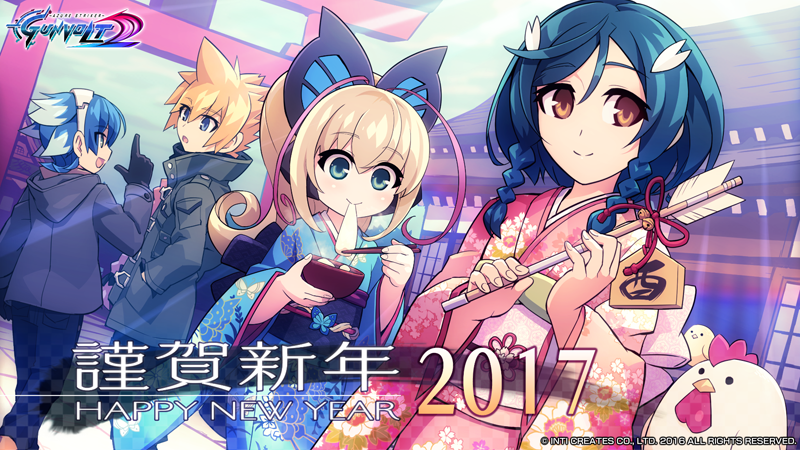 The year 2017 is less than a week away, and considering this is our last day at the office before we break for the new year, we wanted to share a bunch of goodies with you before we head home! Seasons Greetings, Strikers! 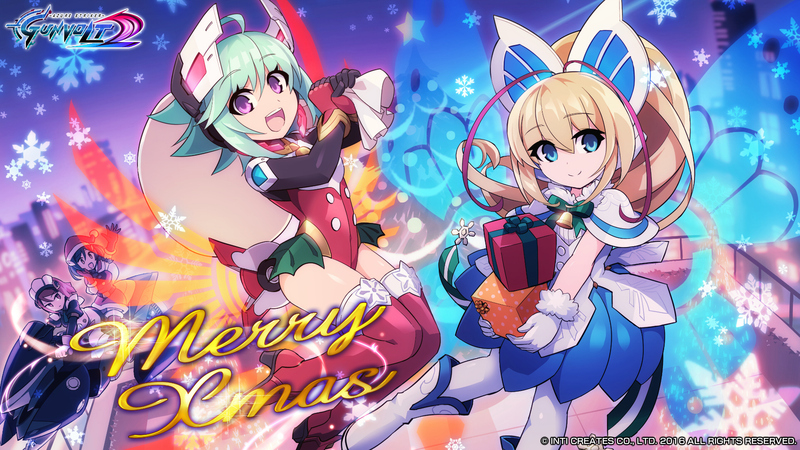 Christmas is almost here, and once again, Azure Striker Gunvolt character artist Yoshitaka Hatakeyama delivers some GV themed holiday cheer with this new Azure Striker Gunvolt 2 Christmas wallpaper! How freakin’ cute are Joule and Lola? Thanks for the early Christmas present, Hatakeyama-san! 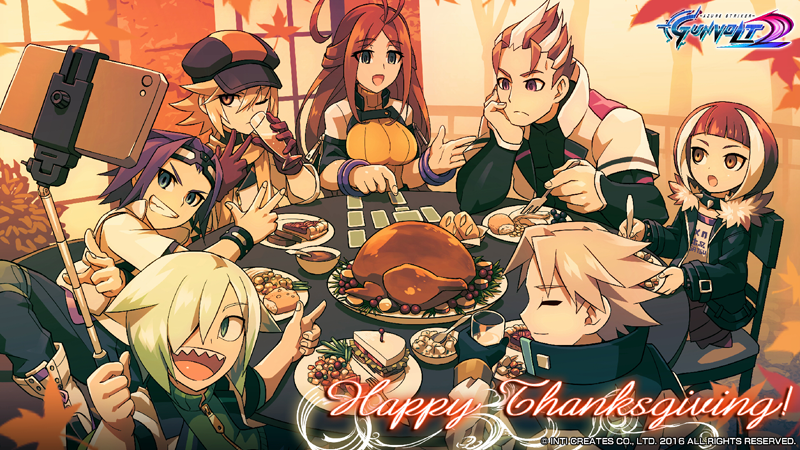 You can download this lovely wallpaper on the Gunvolt 2 official website! We also have good news for the North American version of Azure Striker Gunvolt 1! After the most recent patch update, we received reports from you guys that Special Mission 5 wasn’t working, and indeed, it was not. We apologize for this error, and with this new Patch 1.4 that will be available tomorrow (12/22) on the Nintendo 3DS eShop, that error has been fixed.